Need maximum hours from CCAC? 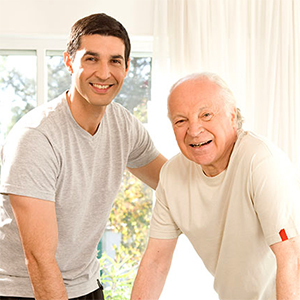 We can help with home care. Have maximum hours from CCAC, but still need more? If you are receiving maximum hours from CCAC, but need more care, Retire-At-Home Services Toronto and North York Can help! For any one person, CCAC will provide a maximum of 14 hours of home care per week. But for many people, 14 hours are not enough, and supplementary hours of care are needed. That is where we come in. Retire-At-Home Services will work with your CCAC case manager to coordinate care workers coming into your home, making sure that our Personal Support Workers (PSWs) are scheduled around those of CCAC to help you get the most out of both public and private services. For no extra charge, we can liaise with CCAC case managers for additional requests or report updates of any changes to the health of your loved one. We do this as part of our regular service to you, to help lighten your load and give you peace of mind. If you are not already receiving care from CCAC, and you would like to begin, we can help you apply. If you have CCAC services already, but have very few hours and are feeling overwhelmed, we may be able to help you get more hours. Please call us or fill out the enquiry form on the right-hand side of this page to discuss how our services can help you care for your loved one.